Lately I have been thinking a good deal about the role of Walter J. Christie in pre-WWII tank development. 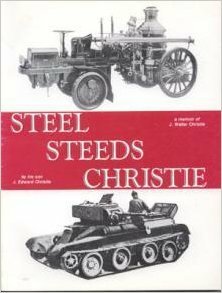 As I have been attempting to assemble as much information concerning Christie as I can, I discovered that in the mid 1980’s, Christie’s son Edward wrote a short book about his father’s career called “Steel Steeds Christie.” This book was published by a vanity press and is now quite rare and expensive. Fortunately, ARMOR magazine featured a review of this book back in the Jan-Feb 1986 issue. The review, by retired Col, Leo D. Johns, is quite negative, prompting a number of replies from both Edward Christie defending his book, and other readers posting even harsher reviews than the original one by Col, Johns. I have reprinted the original review below as well as the various letters to the editor concerning the book. I have provided these letters in part as a warning to anyone thinking about shelling out the dough to purchase a copy of this rare book, but primarily because I think these letters are really quite entertaining. World of Tanks has released a new website featuring a series of videos titled “virtually inside the tanks.” These videos feature WoT personalities Nick Moran (The Chieftain) and Richard Cutland (The Challenger) as they ride around inside a tank. The videos are filmed with a series of cameras, providing a rotatable panoramic view of the inside of the vehicle. This filming technique creates a very strong “fisheye” effect which is frankly a bit disorientating. That said, people may find these videos informative and they do provide some good images of the vehicle interiors, albeit a distorted one. Currently the line up of vehicles featured in this series included the Leopard 1, the Chieftain, the M4 “Fury”, the T-34 and the T-55. Ordering starts with a 30 percent deposit and a two-month wait as the Czech authorities work through their end of the paperwork. Then four things need to happen before your baby comes home. No surprise, this involves forms. You’ll need an Application and Permit for Importation of Firearms, Ammunition and Implements of War from the Bureau of Alcohol, Tobacco, Firearms and Explosives. Plus an International Import Certificate from the US Department of Commerce. Second amendment or no, you can’t have your tank sent over before someone strips out the machine guns and cuts a hole in the cannon. And somebody needs to wipe the thing free of dirt to please the US Department of Agriculture. The Wired article can be read here. UK 1940: Cranes into Self Propelled Guns? Over at the Status Report blog, researcher “Volketten” has created a post about an ill conceived plan to convert a grab crane into a gun carrier in the UK in 1940. 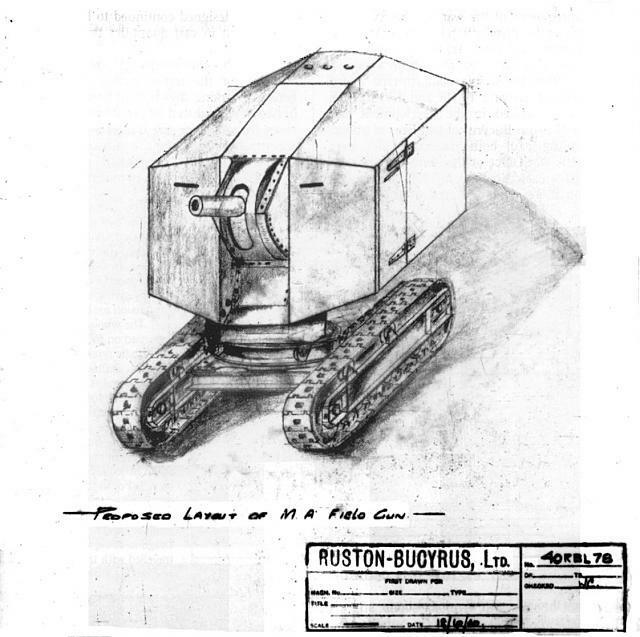 In 1940 Britain was fighting for its life and a multitude of good and not so good ideas were put forward to develop new armored vehicles to meet the needs of home defense and the British Army overseas. Lincolnshire was a hub of development at the time from a variety of companies and one of them was the firm of Ruston-Bucyrus. Founded in 1930 the firm was a merger of the Lincolnshire firm of Ruston and Hornby (who had already had some experience with track laying vehicles in WW1 during the development of early British tanks) and the American firm of Bucyrus-Erie of Bucyrus, Ohio. They specialized in vehicles for earth-moving and excavation mainly track based although there were a couple of walking machines. By 1940 they were already placed under contract to build some British Cruiser tanks but they also tried to develop their own expertise in cranes for a more military use and the vehicle chosen to prototype the design was an old rusting RB-10 grab crane. The Mighty Jingles has released a video about the recent Tank Fest event at the Tank Museum in Bovington England. 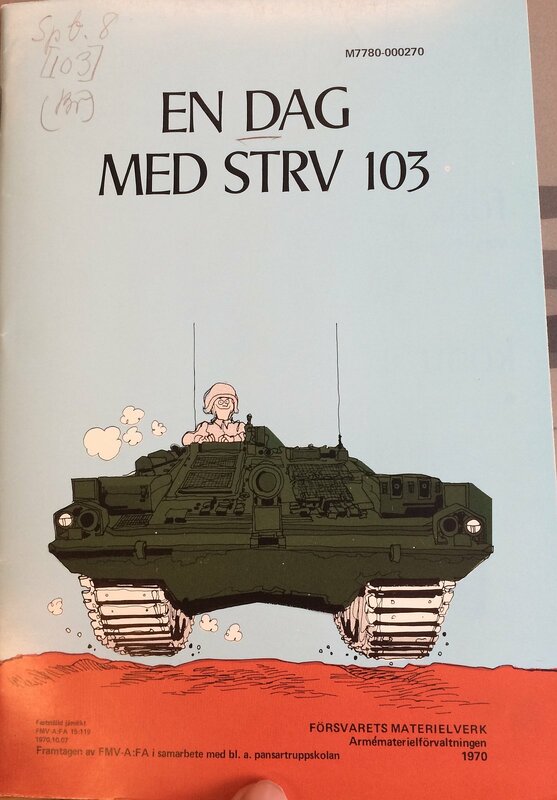 Today we present “A day with the Strv 103” comic book from 1970. Think of this as the “tigerfibel” for the S tank. The text is in Swedish of course, but the pictures are quite entertaining. Thanks to the Swedish Tank Archives for scanning and posting this document. 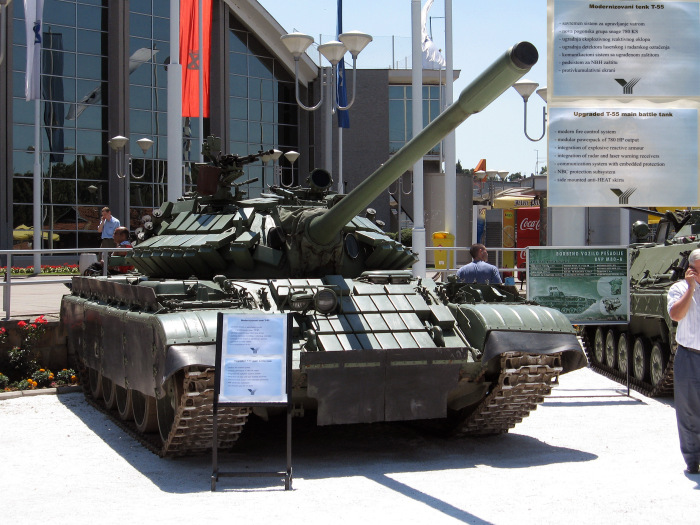 Serbia sells 282 T-55 tanks to Pakistan? 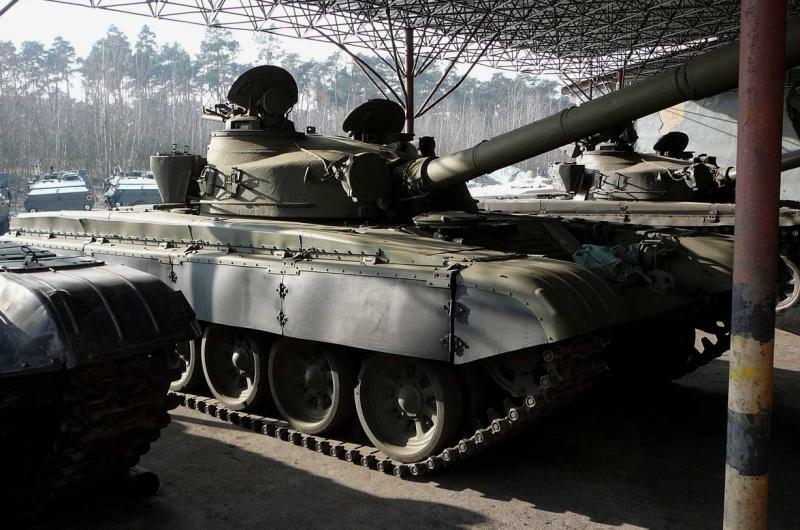 An article on In News is reporting that Serbia has reportedly agreed to modernize and sell 282 obsolete T-55 tanks to Pakistan. According to the article, the contract is worth tens of millions of dollars and that the proceeds from the sale will be used by Serbia to purchase new weapons. The Chief of the Defense Technology in the Ministry of Defence, Major General Bojan Zrnic indirectly confirmed the sale, saying “It is true that there was an agreement in principle for the sale of 282 tanks from the arsenal of retired and obsolete military equipment, but I do not want to talk about with which country and the army this deal was made. It would not be appropriate because the contract has not been signed. What can I say is that the offer is extremely favorable for the Army of Serbia as the tanks will not be sold in its current state, they will be modernized first. This task will be entrusted to our defense industry.” No details are given in the article as to what sort of modifications the Serbians will be making on these vehicles in order to modernize them. It is probably safe to assume the modernization will be similar to their T-55H variant.